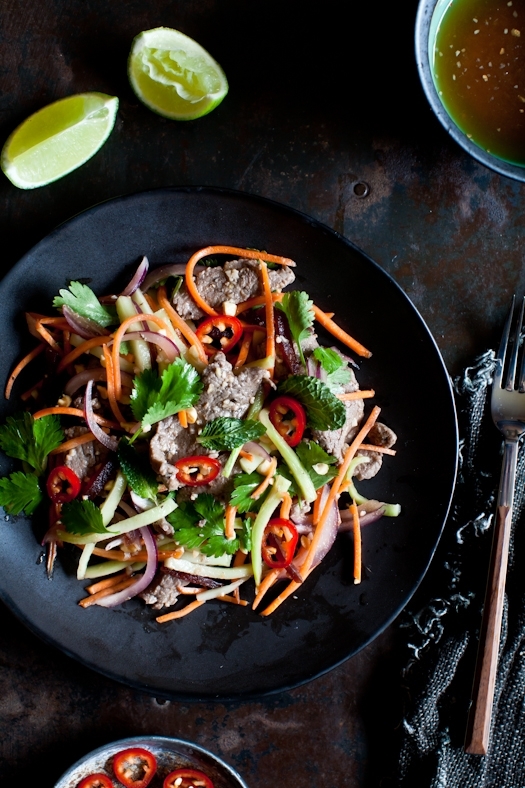 Tartelette: A Tamarind Beef & Kohlrabi Salad and A Brand New Year! 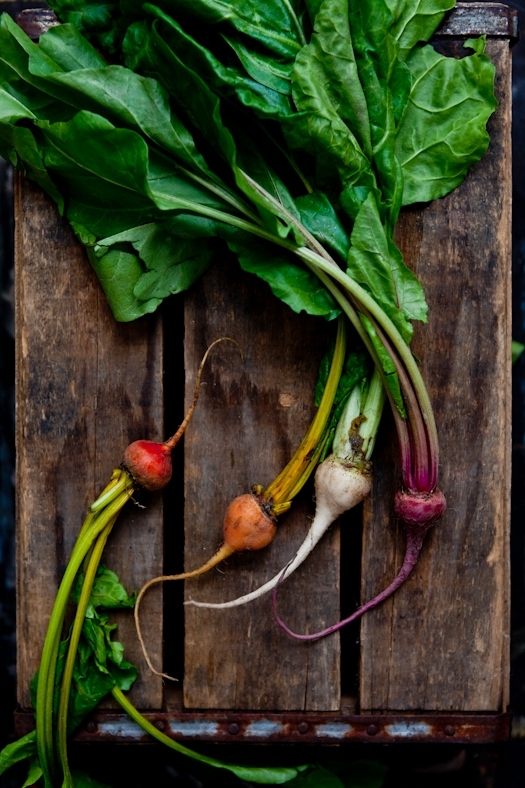 In a bowl, combine the kohlrabi, carrots, beets and sugar. Let stand for 10 minutes then drain. 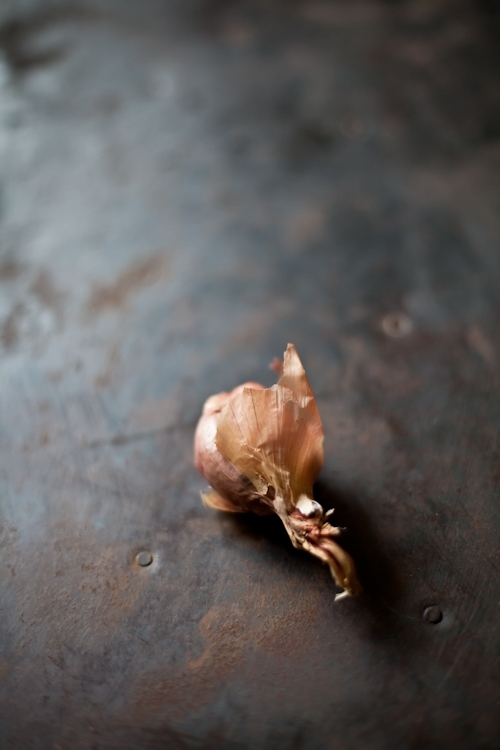 In a medium frying pan set over high heat, heat the oil and add the garlic and shallot. Cook just a minute until fragrant. Add the beef and stir fry just until the beef for about 2-3 minutes. Season with the pepper. Add one tablespoon of the tamarin and toss to mix. 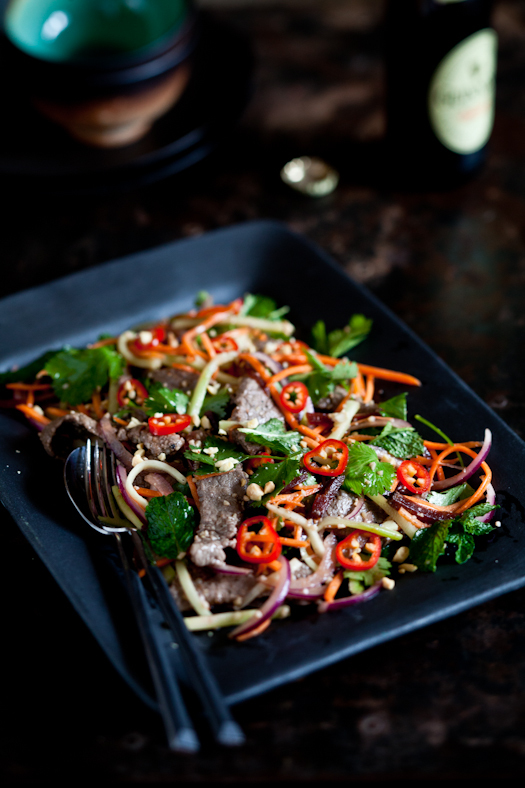 In another bowl, combine the kohlrabi, carrots, beetroot, coriander, mint and beef. Add the remaining tablespoon of tamarind along with the fish sauce, lime juice, and sesame oil. Toss well and garnish with the peanuts and chili. Enjoy! So incredibly gorgeous! Happy New Year! looks amazing, can't wait to try! Happy New Year to both you and Bill. This recipe is completely right up our cooking alley - adore all of the flavors. Will have to give it a try, as well as add the book to our collection. Wishing you the best for 2014! Thank you for your work and inspiration Helene. Happy New Year Helene and thank you for being an inspiration in my work and life. I could eat it right now!! Happy new year! This dish would go well with our staple food i.e rice here in Malaysia. Love your pixs ..looking forward to more. Happy new year, may good things come your way too! This beef dish would go well with rice here in Malaysia.Good to read of your time spent entertaining family and love your pixs..cheers!! Looking forward to trying this dish. Perhaps I can sub the kohlrabi with turnips. We absolutely love this salad too. I often make it in the summer. Luke Nguyen's books are some of my favorite cookbooks ever and every recipe I have tried from his books were simply delicious. And the picture are absolutely beautiful. Happy New Year!!! This salad is gorgeous! Happy New Year! This salad is gorgeous!! 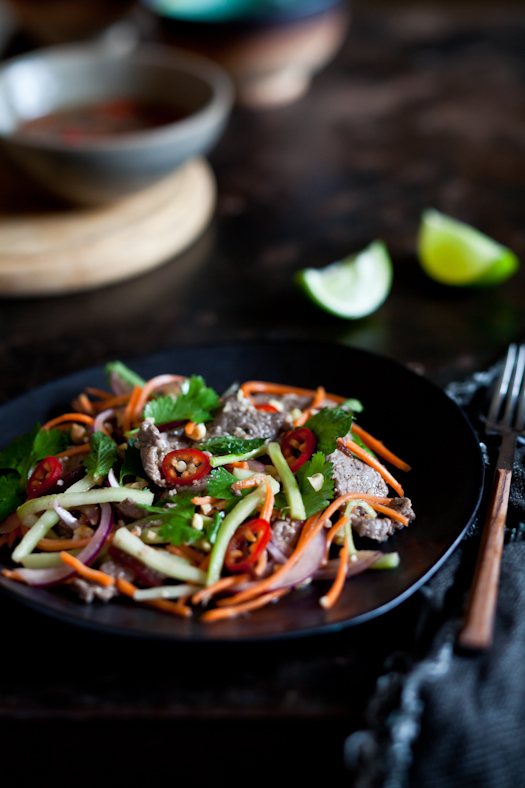 happy new year - what a great and quick stir-fry! Best wishes for a great year ahead. Happy New Year Helene. I was hoping to come to the blogging conference Jan. 24th, but too much is going on. Hope your 2014 is a good year. You are always an inspiration. Looks great, happy new year! Your food photography has this looking so delicious! Made this recipe last night. It was delicious, and I will be making it again! This looks simply gorgeous! Your photography never ceases to inspire me! It looks very inviting. I never knew Tamarind will match perfectly on a dish like this.